As I have told you previously I have been living in Mijas for 24 years now, and I would like to recommend a few places that really are worthwhile seeing or visiting. 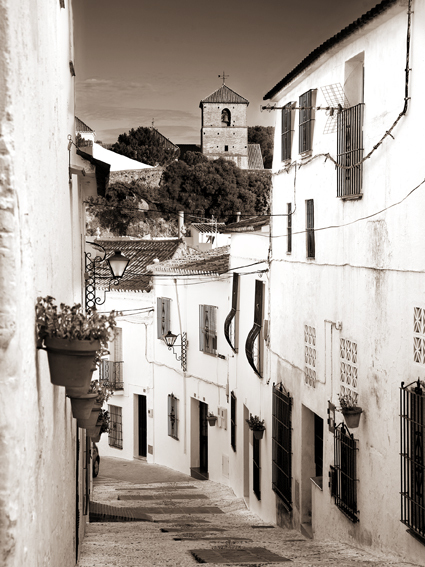 First of all I must tell you that Mijas is one of the most charming places to visit in Spain. 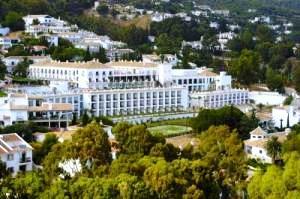 If you are on the Costa del Sol, (Province of Malaga), Mijas is a must, is like going to London and not seeing Buckingham Place, it's certainly the most beautiful and scenic place on the coast. It's an unspoilt little village on the mountains, just 8 kilometers away from the sea, but 450 meters high (about 1200 feet). 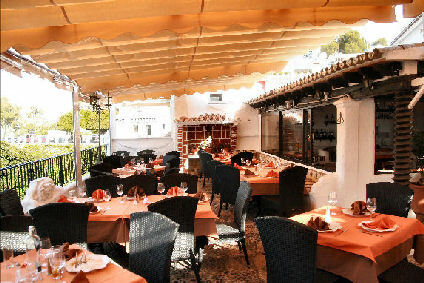 What to know more about Mijas and what to do here, visit these different Web pages. Plus this one that gives a little story MIJAS or here you can see panoramic views of Mijas. Local bar, the oldest bar in the village, almost 100 years old, it's the meeting point of the village people, can be a little noisy and the TV is on always. But if you wish the good tapas, you are in the right place. 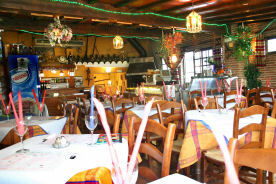 My favorite is a glass of Manzanilla wine (very similar to Jerez), with a plate of "Jamón Pata Negra"............. If you don't like it, bring it to me; I am just across the square. From the bar you can see the view of the painting in my presentation. 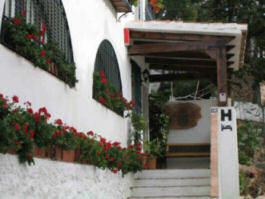 Little and sweet rural hotel, in the center of the town, just next to the main square, Situated on Street Málaga, Nº 15. They really have good prices, for weekly says, they have studios for 1, 2, 3 o 4 persons. Low season: 45 € daily - 250 € weekly - 450 € 15 days. 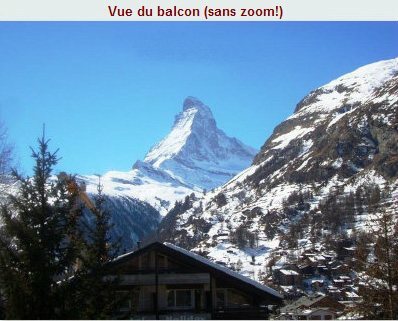 High season: 55 € daily - 350 € weekly - 600 € 15 days.